I could not believe my eyes when I got the email announcing an open practice for Oregon football season ticket holders a few weeks ago. No professional cameras allowed? This means that media are not having their usual place in this practice — hmmmm. I was thrilled and simply could not wait for the days to count down until I could watch Bralon Addison go against Ugo Amadi. Wow — this is just like the old days of doing an old scrimmage report! There was no cost to watch the emerging dramas across the team and now we get to see Vernon Adams in action? 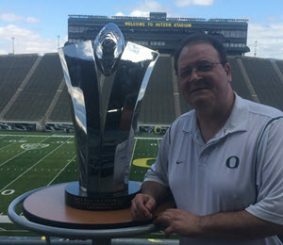 This was quite a gift to the fans from coach Mark Helfrich! They wanted us there in our seats by 1 p.m. for a 1:30 beginning of practice, and fans were quite accommodating, as reams of them were pouring into Autzen at 12:15! While this was not the Red Wedding, it felt like a betrayal of trust on a small level between the head coach and the fans. We saw nothing in this practice; not a single play of offense against defense in pads, and as if to tweak the fans further — the players wore the straw hats that many of us brought to stay cool. They were not even in shells, and walked through plays and completed minor drills. Grizzled Ol’ Coach and I admitted we had nothing to take from this practice. How can you feel ripped off when you got something for free? 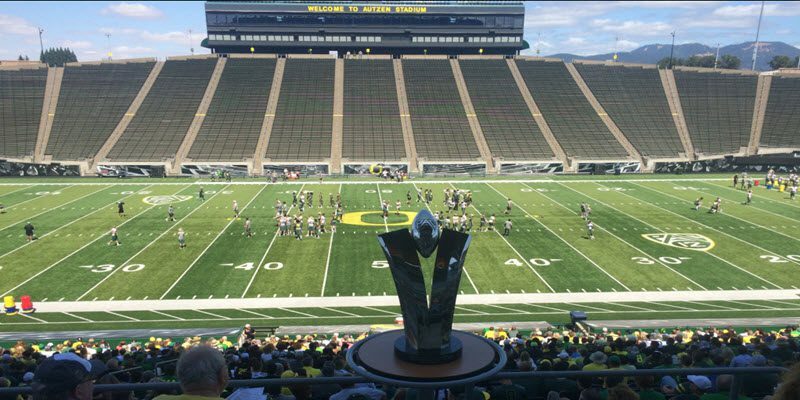 It is almost as if coach Helfrich said, “You’ve been crying to have an open practice? You got one. How do you like them apples?” I think Mark took more out of the Chip Kelly playbook than we thought with this move. Some of you will get after me for my opinion, but I thought it was ridiculous to go to the trouble to have us there … for that unless there was an ulterior motive. But hey — I got my mug with the trophies, the highlight of the afternoon! I never thought I would see the day when looking at positions groups and you would see so many defensive linemen! GOC (Grizzled Ol’ Coach Mike Morris) thought that we truly were four deep, and players redshirting would have played in the two-deep years ago. It was cool to see the long flowing blonde locks of Rex Manu going through drills knowing the young-gun is over 300 pounds with that strength? “Now that is a boat-load of talent right there. We have never seen so much among just the punt-returners,” the GOC noted as he pointed to the group at mid-field. We saw Taj Griffin, Kirk Merritt, Bralon Addison and Charles Nelson in one place! Unbelieveable. It is insane the weapons — the young weapons — on this team. The starters on the interior defense were appearing to be Tui Talia, Alex Balducci, and Henry Mondeaux (no Buckner?) along with ILBs Rodney Hardrick and Joe Walker, as it was good to see the familiar along with the new starters who are going to make their mark – even if they were just walking through defensive assignments in shorts and jerseys. With the limited reps for Vernon Adams? It was noted by FishDuck.com Recruiting Guru Mark Flores, that VA’s quick turn of the shoulders and rapid release was something to behold. I was glad to see how Adams was running the new Inside Zone Read (that Oregon moved to a while back) as proficient as the other QBs. He has run the Zone Read before! I do not write about injuries or formations, but I can tell you that I saw something that covers what little weakness we have on offense, while accenting our strengths. Thanks to coach Mike Morris for the catch and it is something we’ll discuss once we see it in the games. He had barely said that when the No. 1 offense lined up with Kirk in the slot as a receiver! As a true freshman? Whoa! This is a young man who has a body profile of a Josh Huff at 5’11” and 205 lbs., yet won the National Sparq Championship from among the nation’s elite talent? He shouts touchdowns! Did the Ducks throw a blanket over the next amazing RB/WR talent from among the redshirt freshmen and prevent us from seeing his speed and running skills? It was rumored that Royce Freeman thought Griffin was the fastest player he had ever seen on a football field. Holy Crap! A coach who consulted with me more than a week ago thought that the vision of Taj was not noted by many compared to his speed. He runs the Inside Zone play extremely well by pressing the line-of-scrimmage and bending back against the blocks with his superior cutting and acceleration. The biggest surprise about Griffin is how well he breaks tackles. I would take a running back who is average speed and breaks tackles as opposed to a speed back going down with an arm tackle. Let me see if I got this right; he runs Oregon’s base play with authority and has that blinding speed? Spartans look out! Are you cooled down yet, Charles? 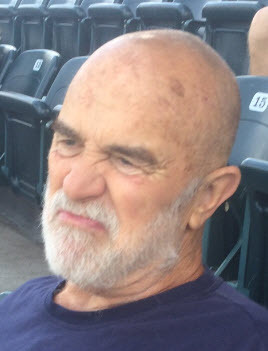 While I have been considered a member of the media the past four years, I have been a season ticket holder for 30 years now and went as a fan. I did not see anything barring the media, although there would have been nothing to report. Much of what you see above was for a Coach’s Comments article that I was thinking of doing until I saw this dud of a practice. I understand that some of you are going to hate on me because of my criticism of the lame practice opened to the public. I get that. But remember that I defended this head coach and the staff mightily after the Arizona loss and got some hate mail for that, too. I am calling it as I see it; the people I really feel bad for are those who drove from Portland to waste their time. I can honestly say for the first time ever that if you did not see that practice, you did not miss a thing. But – I still love my Ducks!